Our thread got closed for being too large so I'm starting a new one... we can has sticky please? So I guess I'll start out the new thread. 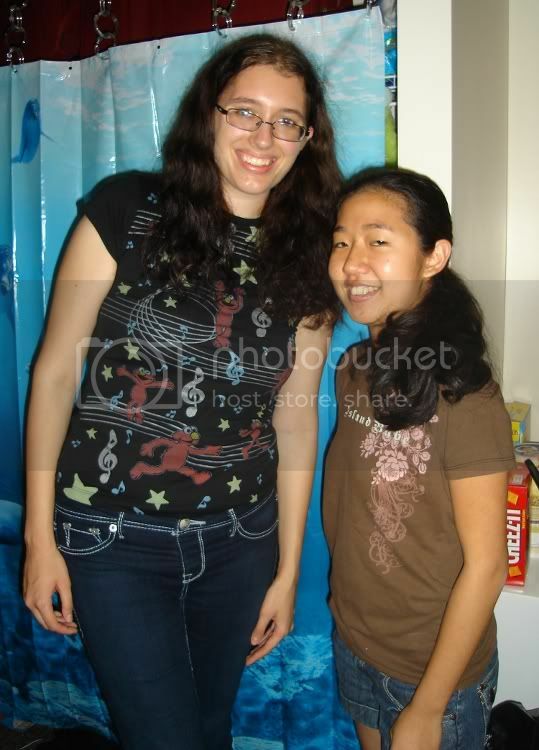 These are pictures I took with my two suitemates today. 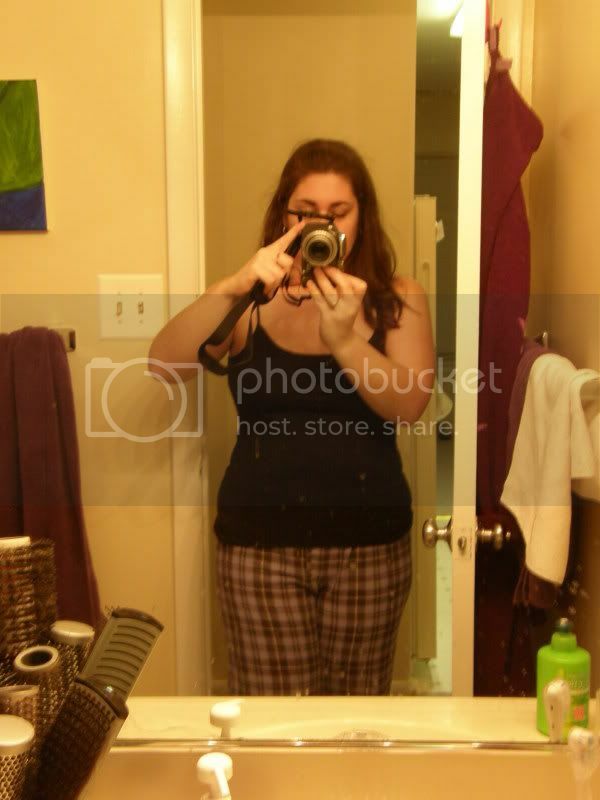 They're so weird to look at because I almost look... thin... at the very least, not overweight. It's still such a foreign concept to me, but I'm liking it so far! Yeah... TOTALLY doing that upside down.. oh well! Yay! Meg you DO look thin! 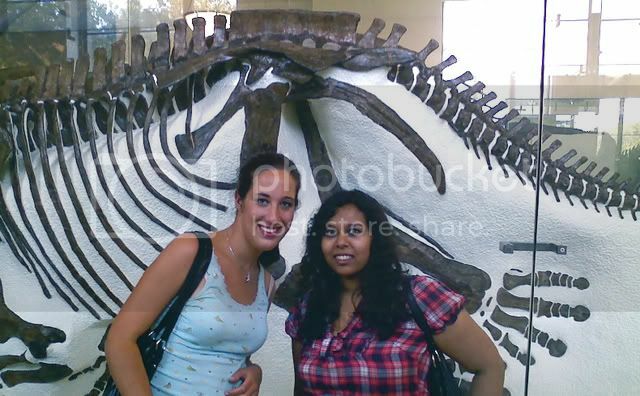 At the Museum of Natural History with my best friend over the summer before I started losing- I was around 182-185. 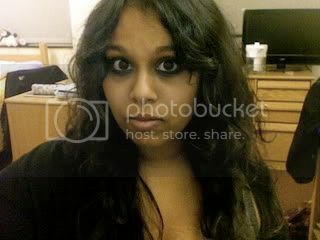 A couple face pics from tonight! I was feeling particularly vain tonight, haha. My cat using my lap as a pillow <3 She's a sweetheart! Last edited by Starrynight; 11-08-2009 at 05:22 AM. Are there any 'easy' ways of uploading or copying photos to this? Besides using the Attachments. All of my photos are too big and it's a pain in the A** to crop them each time. 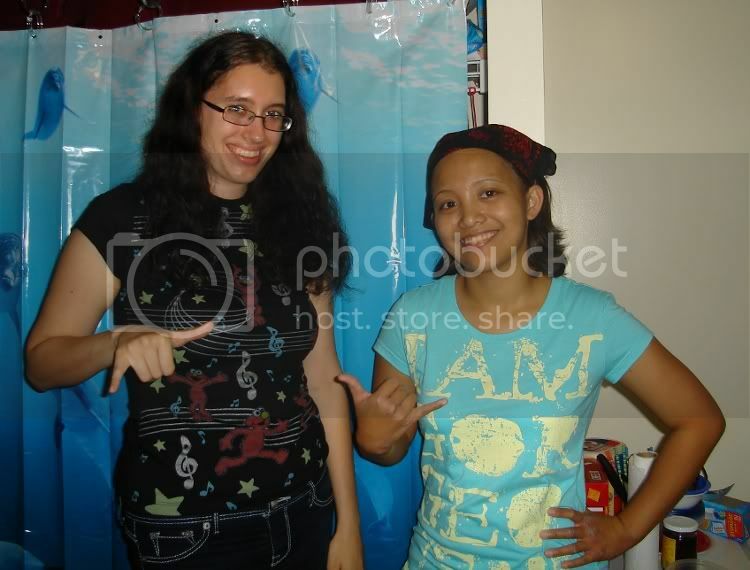 Here is a photo of me last night at a staff social...and surprisingly sober..decided to not drink. Got this shirt in purple and black for 3.50 each at Old Navy..Gotta love clearance!!! Playing in the rain I'm in the tye dye. That was a fun day! MegI just love your jeans, what brand are they? 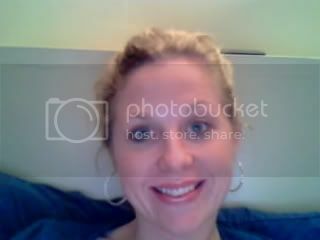 Angela, I like to use photobucket. Upload your pics and copy and paste the link for forums. It's awesome and VERY easy. Starrynight: Oh wow, you're so pretty! And your eye makeup is just GORGEOUS! I love eye liner and mascara and such.. I think of all the makeup that'd have to be my favorite. I really like how you do yours. Last edited by megwini; 11-11-2009 at 06:22 PM. This is what I wore to my boyfriend's last week LOL. Those are my favorite new Nine West mary janes and the dress is a size 14 from delias (so, really, like a 12) that I found in my old box of clothes. Thanks so much Sgregg!! 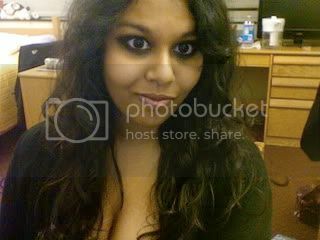 I just took some pics with my webcam and started a Photobucket acct. Gonna give it a try now! 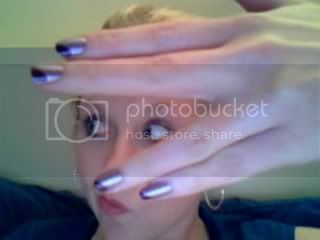 This pic is me fooling around..check out my purple nails I painted!! 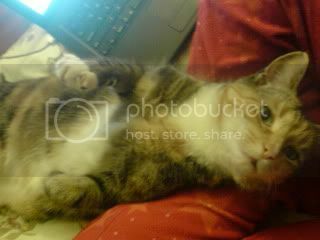 Last edited by angelanicole23; 11-11-2009 at 08:46 PM. 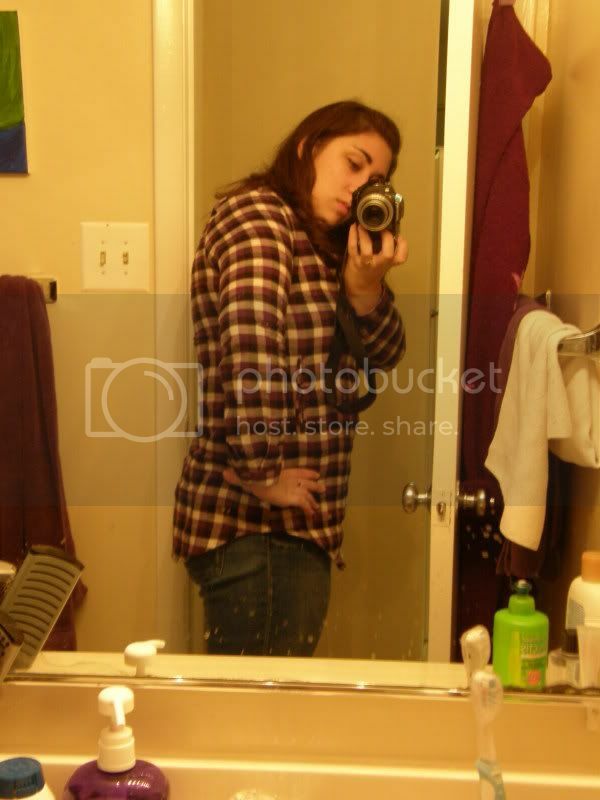 Meg I must say you look AMAZING in those jeans. Skinny girl! 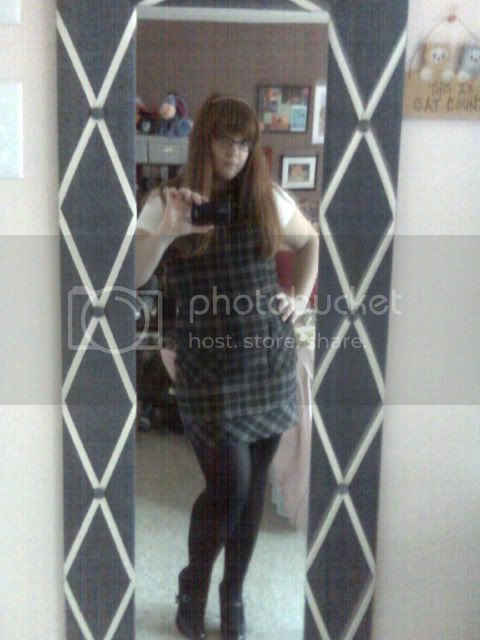 Mary dont you look like a little naughty school girl... hawt! 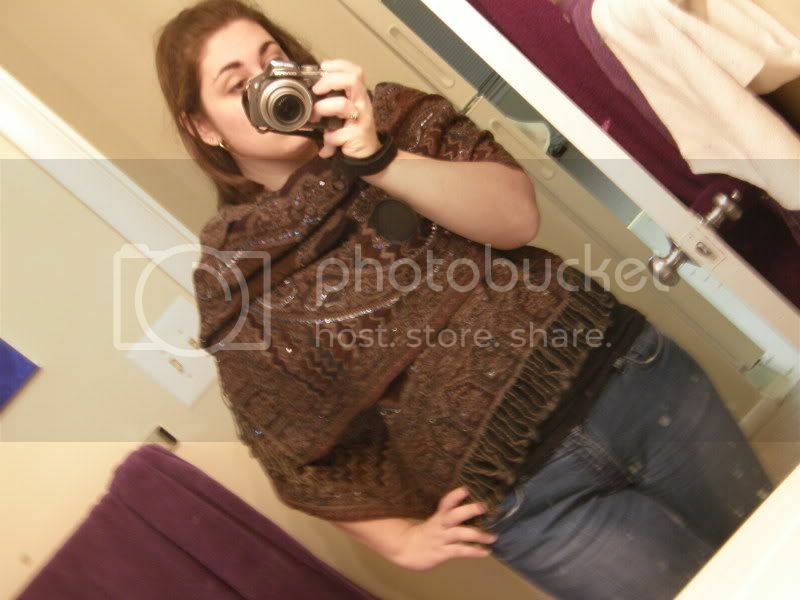 This is my new scarf (and how I would imagine I'd wear it) - its huge, wool and sparkley. You can't really see from the picture, but its like brown, purple, blue and grey - the colors all kind of blend together. Stella - That plaid shirt is AWESOME! And it looks so great on you!! 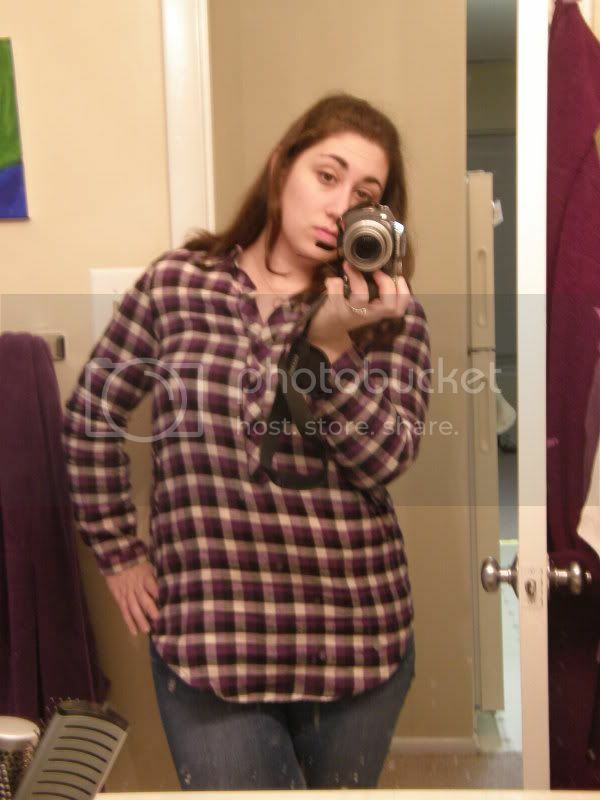 I just got a really pretty purple one on sale that I've been bumming around my house in. You're looking fabulous my dear! And I LOVE your outfit. I'm such a sucker for plaid. Its the Catholic school girl in me. Stella - Love the shirt and the scarf. I love your style. 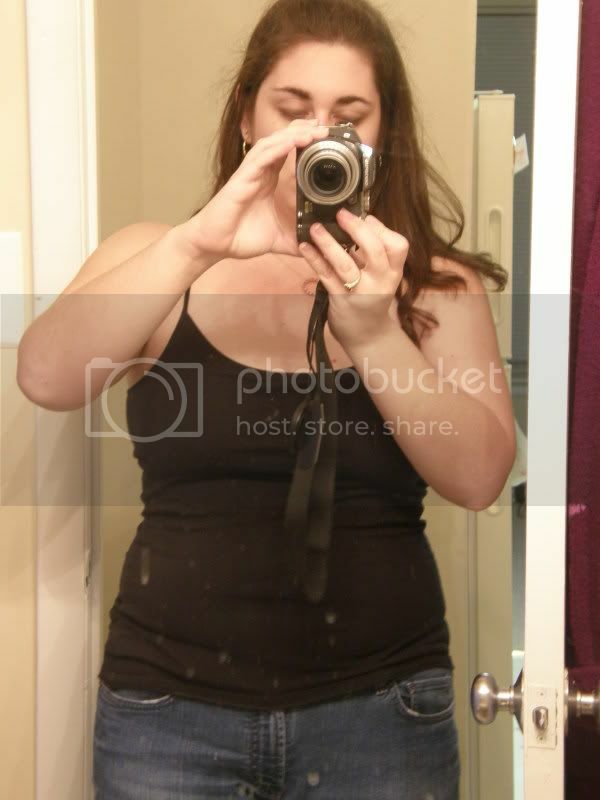 You look amazing in that tank top too, you can really see your curves! !